MOGADISHU, April 16 (Xinhua) -- Somalia on Monday hinted it could release the 9.6 million U.S. dollars seized from a plane chartered by United Arab Emirates (UAE) diplomats to transport the cash to Mogadishu, a move that can defuse tension between the two countries. "The Federal Government of Somalia has sought to clarify facts surrounding recent developments in order to remove any room for misunderstanding between the two governments and peoples. This effort continues," the ministry said in a statement. "As part of these efforts and after lengthy deliberations between the two governments on the recent incident involving funds that were intercepted... the UAE has explained the purpose and the utilization of the said funds and the Federal Government will work together with the UAE on their utilization," it added. The statement came hours after the UAE disbanded its Somalia training program it started in 2014 in protest of the incident at Mogadishu airport. The Gulf nation has also been paying the salaries of 2,407 Somali soldiers and built three training centers, a hospital, and dispatched Emirati medical teams for treating Somalis. 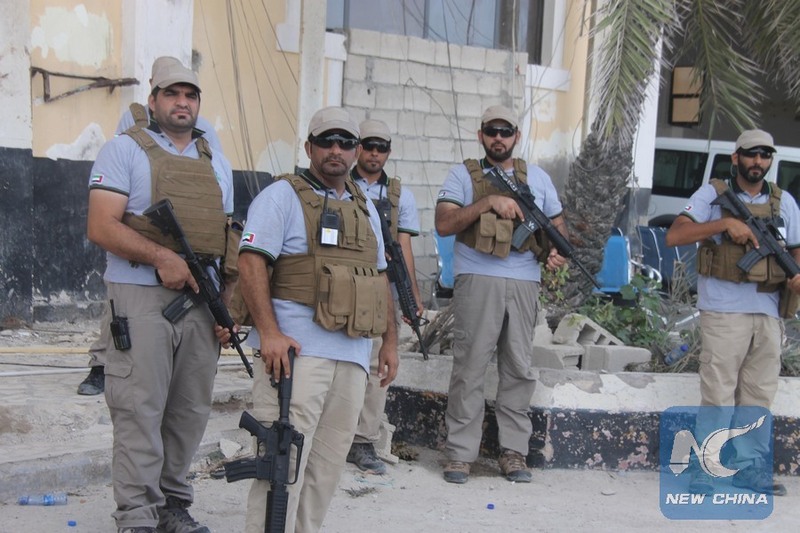 Mogadishu officials reportedly stopped a plane from the UAE from leaving the country after Emirati military trainers on board refused to hand over their luggage to be scanned and searched. According to reports, some 47 Emirati Armed Forces personnel who were on the plane were held at gunpoint and assaulted by Somali security forces. Mogadishu has since denied the allegations, saying that it only took the action after the UAE ambassador, who was at the airport, refused to let the bags containing the cash be scanned. The UAE, which has been supporting the Horn of Africa nation for years as part of its stabilization efforts, said the money was meant to pay the salaries of Somalia National Army (SNA) soldiers and trainers. The UAE has since condemned the seizure, terming it illegal and a breach of diplomatic protocol, and accusing the Somali government of creating "unnecessary tension." Mogadishu said Somalia and the UAE share a strong economic, political and cultural bond that dates back several centuries linking the citizens of both countries through history, economy, culture and geography. "Somalia's leaders have been committed to strengthening its bilateral relationship with this traditional and valued partner," the ministry said. It noted that the Horn of Africa nation is making great progress in implementing critical political and economic reforms to rebuild its institutions of government and financial systems to deliver security, services and rule of law to the people of Somalia. "Somalia hopes the UAE can be a contributing partner to these efforts as a counter-terrorism and trade partner," the statement said. The ministry said Somalia welcomes foreign direct investment because prosperity and economic growth will help unite the nation," the statement added. Ties between Somalia and the UAE have been strained since mid-2017, when Mogadishu defied UAE and Saudi Arabia pressure to cut ties with Qatar, following a diplomatic dispute between the Gulf neighbors.